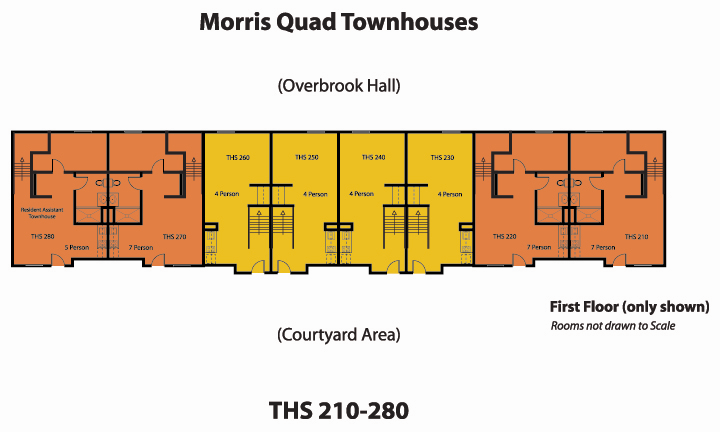 Located behind Overbrook Hall these townhouses opened in the Fall of 1997. 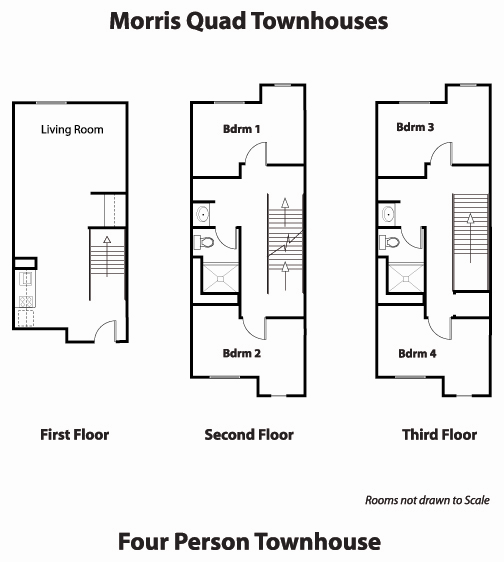 Featuring single bedrooms, computer networking and washer and dryer units. 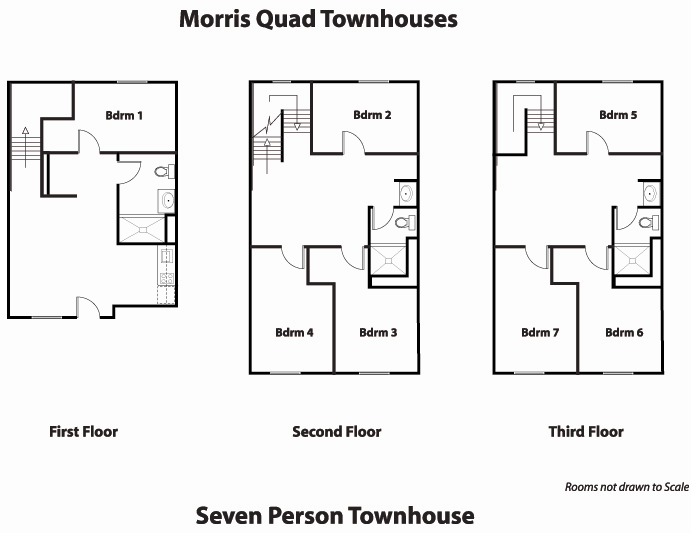 As with all housing areas, the townhouses are fully furnished. 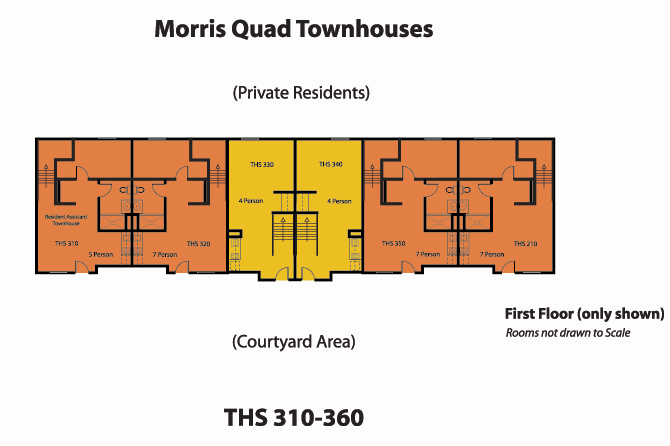 Morris Quad Townhouses offer students the privacy of individual rooms with the benefits of a common space and kitchen access. 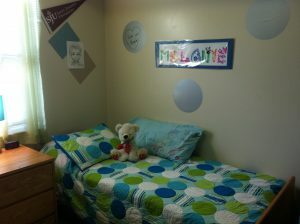 Parking is available for students as well. Students also have a shuttle service stop and train station right next to their building for quick access to central campus or downtown.